Dakota has found his forever home. Our thanks to his new adopting family. It is your kindness and open hearts that makes rescue work so rewarding. 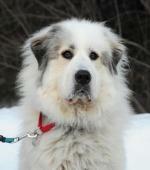 This was Dakota's story... Dakota is a young (1-2 years) neutered male Great-Pyrenees. He came to us as a stray. He is very friendly with people and other dogs. Dakota has a dark undercoat so looks quite heavily marked. He still acts like a puppy in that he really wants to play and run about. He appears to be house trained. 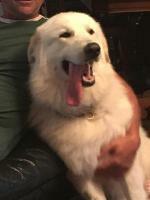 Dakota is a beautiful Pyr. 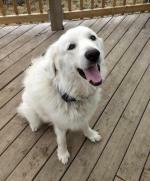 Have you dreamed of having a Great Pyr in your life? This is your opportunity. Why not share your life and your home with Dakota? is dakota still looking for a permanent home? 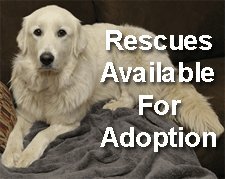 we had a rescued pyr a few years ago and would like to rescue another. i check this site often. Yes, Dakota is still available, but it is in Ontario. 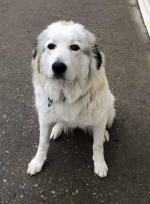 It might be easier to get a dog from Calgary (or out west) or from the National Great Pyr group in the US from Washington. 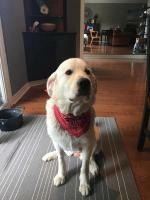 Hi, We just moved from the GTA to Prince George, BC and am looking to add to our family. We have a Pembroke Welsh Corgi (3yr. old)(Huxley) and 2 indoor/outdoor cats. Huxley needs a friend and we would like a large friend. We have had Lab/St. Bernard mix and Labs in the past as well as other Corgi's. 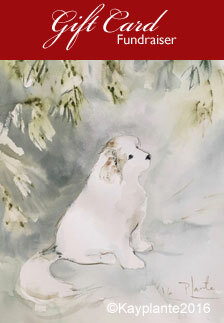 All of our pets have lived long and healthy lives. We live on 4 acres in the foot hills / Mountains of northern BC. We are also looking for a little protection and a fella that would do well in our snowy winters. Our main goal is to rescue a lucky guy. We treat our pets as family members. I am a RN and work from home (my headquarters is in the GTA). My husband is a professor at the university. Our 4 children have left the nest and are starting families of their own. 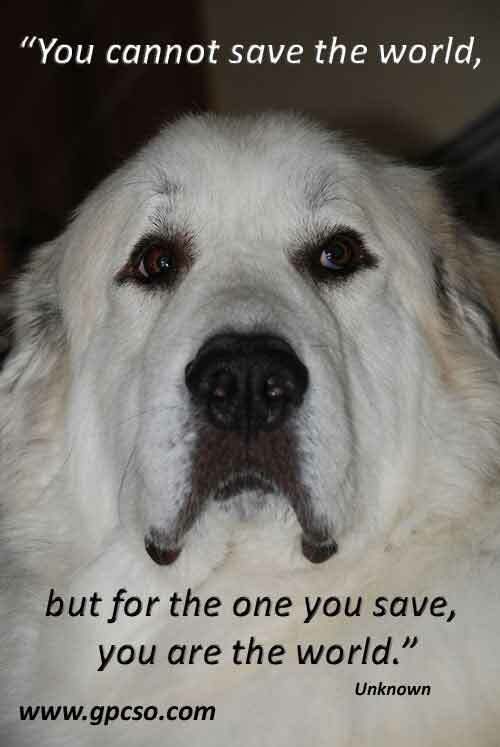 We have always admired the Great Pyr and Dekota is very handsome. Is he still looking for a home? Return to Post A Happy Tail 2011.